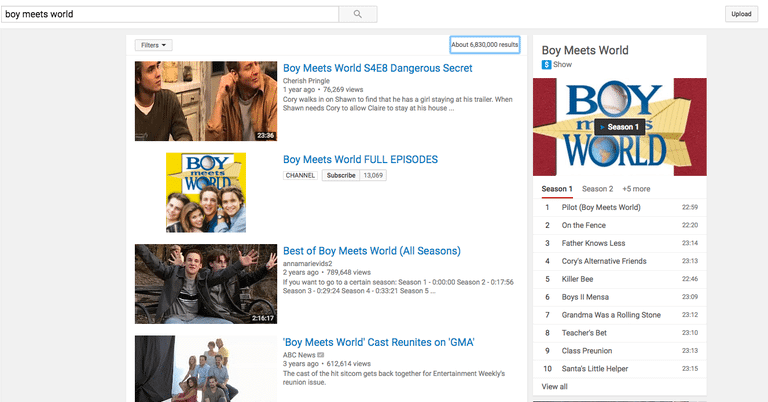 We just came up with a list of websites from which you can watch your favorite TV shows easily. All you need is a good internet connection. Cut out your cable wires and start connecting your devices to watch free tv series. Watch as many repeat telecast as you wish too. No limitation about the count. Many websites have some error while loading. You may avoid this. There may be sites which will ask you to pay charges for each show you wish to watch. But here, we have come up with the best sites. Plus, available free of cost. It’s an interesting site with the primary aim to aggregate videos for online viewers. YIDIO stands for Your Internet Video, justifying its name. It can be regarded as an underdog in its niche. The service is legit and offers an app both for Android and iOS platforms. 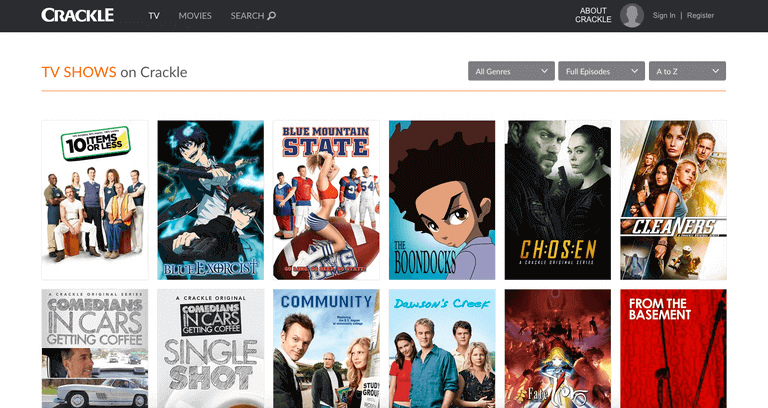 What it does is, it lists sources where you can watch your favorite tv shows and movies for free. It doesn’t host the content locally. 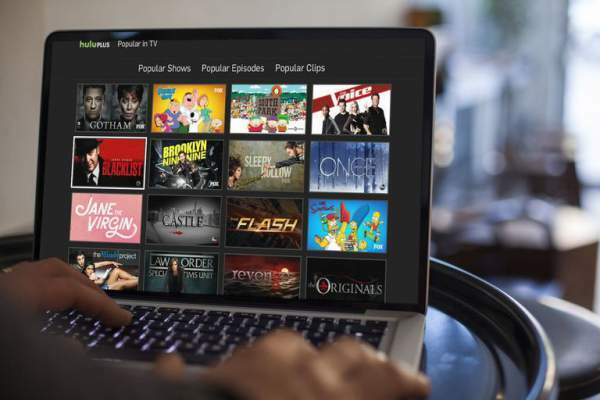 One benefit is that users get to choose a wide variety of streaming services from where they want to watch video content. It categories content in nearly 40 genres like comedy, documentaries, action, kids, etc. You can filter the content based on titles and ratings. The catch is that not all of Yidio’s search results are free. You may be required to pay a small fee at a very few portals. The benefit is that after registering an account on Yidio, you don’t need to shuffle among various sites. Hulu ended its free streaming services and switched to a subscription-only model in August 2016. Right after that, Yahoo collaborated with Hulu to launch a new service called Yahoo View. 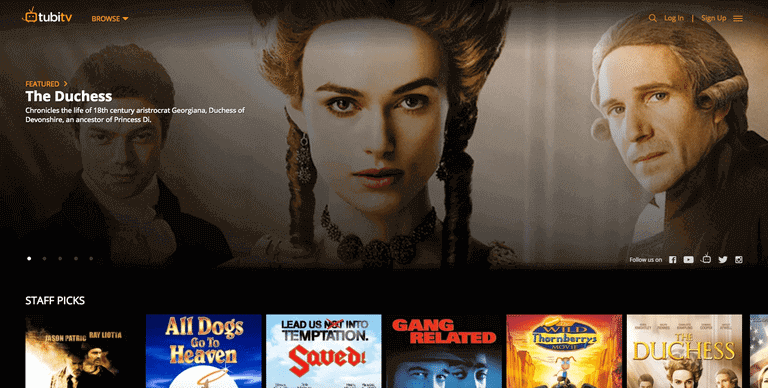 It now offers the content which used to available on Hulu for free. It’s now available on YahooView. Any US citizen can watch the latest five episodes of the TV shows that air on ABC, NBC, and FOX. The latest five episodes will be available for up to eight days after their air dates. So, it has become a great one-stop solution for you for watching the missed episodes on cable television. It is known for its vast variety of full-length movies, documentaries, overseas films, and original web series. Besides it, Popcorn Flix is also a great shop for watching tv shows that are difficult to find anywhere, including cable tv series. It’s a good solution for some serious childhood nostalgia. Here, you can check out the PopcornFlix’s 90’s tv shows like The Legend of Zelda, The Adventures of Super Mario 3 Bros, etc. Its tv collection isn’t that huge, but it is worth checking out anything different. You don’t need to sign up for a free account if you are just looking to try it out quick. This site offers you a great number of shows to watch online. Repeat as many shows as you wish. Plus, there are some movies that you can watch for more fun. You can make your own wish list with your pet shows. You can connect it to your phones too. That sounds interesting! There nothing related to subscription and stuff with this site. It’s absolutely free of cost. The account is needed when you wish to give your reviews for some show or episode. Otherwise, there is no need to make some account and all. All you need is to search out your pet episode and it will reveal some results. Choose the one you wish to see. One of an advanced website, this is completely free to watch. Capture all the fun here. The on lookers must give it a try at once. It is completely one of a legally authorized site. So, there is nothing to worry about for its usage. You may see movies too here. Maybe, you will get to see your episode a little late. This may occur because the latest shows may not appear early to the site. But later on, you could give a look at it. Talking about how to use it: you just need to search for your pet shows and begin the episode. It also holds a huge collection of shows to watch. Talking about OVGuide, I would like to mention that it doesn’t work like every other site. What does it do? Basically, it brings you to the stage from where you can see your shows. Getting confused? I mean to tell you that the site doesn’t host TV shows and episodes on its platform, but points you in the direction. It won’t ask you to pay any charges to go there. It’s the duty of the site to provide you with the route for the show. We can conclude that it acts as a helping hand support. Just drag your cursor in the route the site opens up for you. You may consider as a way to hunt for your shows. There seems no doubt that it will make you land on the right platform. Nothing to worry about giving the site one chance. Not only TV serials, you could also get the route to some movies. That’s an interesting feature! As soon as you arrive at your show, there comes up a clip looker. The purpose of in built clip looker is to reveal you to the platform where you could watch it out. You need not follow any hard, difficult kind of instructions about its operation. The work will be done by the site itself. All in all, it holds something tricky at once. For sure, I ain’t hiding that fact. But still there comes up one thing that will make you use it. But what it may be? Actually, this would help you to connect with the brand new episodes easily without taking any time. This could be beneficial for all the on lookers. The upcoming themes of various shows could be looked upon. Sometimes, there may be a clip that would ask for some charge. This acts as a barrier against it. But leaving that, quite videos are freely available. 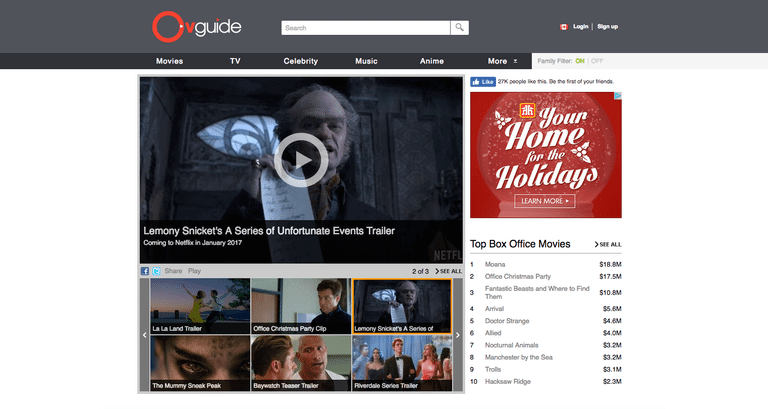 Looked at a video at OVGuide? Wasn’t it free? Worried? No need! Actually, there are chances for you to get the video for free. But how? At this situation, OVGuide will lead your path to the route where you could use up the subscription feature. Use the link, download the clip and watch it out. Wanting to pay no price for any of the show? In that case, find it out on OVGuide where to go. The results could be advantageous for you. This is most popular. The name itself is heard almost by everyone. You are already using it without knowing its’ greatest benefit. Yes, you could easily view your pet TV shows and episodes over here too. May be some brand new episodes could be hidden by you. But most of the shows are easily available here. That’s one of a great notification about it. Stay connected and enjoy it more! Free videos may come up with low-quality type. But at least you are getting the hope to look at your missed episode. This is great. The site you are already using can now be more interesting. You won’t even find it difficult to handle. Most videos could be easily found here. Here, you will definitely find your pet shows. Not finding other sites much useful? Okay, I just came up with a new option. Just install ‘Popcorn time’. Most importantly, this site is something different from others in every way. In its usage too, it won’t work like other sites. As a plus point about the site, I would like to tell you that it allows you to make free online streaming for TV serials and episodes. Additionally, you can watch some movies also. The site may have copied some clips from somewhere else. But, all in all, the users can get a good outcome. Torrents, yes we can connect this word here. It’s completely your choice to take the risk or not. May be your country won’t involve many risks. So, you could use it easily. That’s just a matter of your opinion. Else, you can enjoy the site. One of a leading site it is. Probably, holds comparison from Netflix always. We can say it is a good one. As Netflix is just not bad for any percentage. No slow work is done here. Quality type is standard. Some movies or clips would even come up with subtitles. That’s an interesting fact. For UK users, the best one. It holds a collection for 109 mediums. That’s a great number. Plus, it does not ask for any charge to the users. You may use it on any of your devices. May it be a phone or desktop. 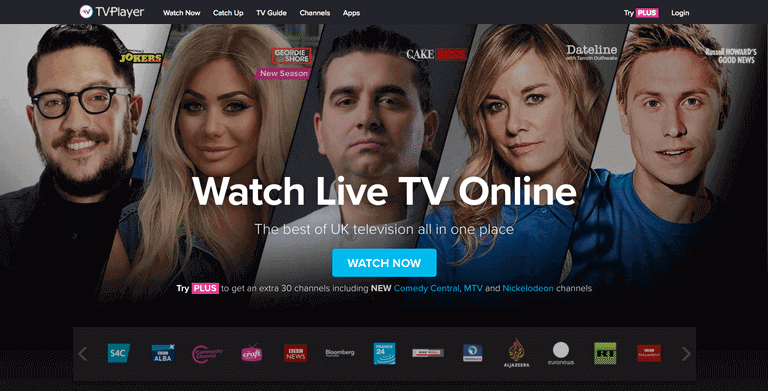 Live streaming for TV series is also available here. That’s something new. Well, adding all its features we can’t say it a bad choice. In fact, it can be given a good rating. Made an account here? Now, as an advantage, you will get 30 premium volumes. Talking about which channels it holds in, I would tell you that they include BBC, Food Network, 4Music, QVC, ITV 1 etc. That sounds like a good collection. Start to get connected. Make your account and use it. The greatest barrier is that only UK parties have the right to use it. All others may check out other sites. But UK people need to go with this. You may found it interesting and usable. There a check up progress whether you are landed in the UK or not. Hope you got favorite Free Sites to Watch TV Series Online: Best Websites To Stream TV Shows from the list mentioned above. Stay tuned to TheReporterTimes for latest news around the world and more tech articles.